E.T. charmed Elliott (Henry Thomas) and millions of moviegoers in the 1982 movie "E.T. : The Extraterrestrial." Thirty years ago, a different kind of alien hit the screen: a vulnerable, cuddly, candy-munching creature that captured hearts as well as box-office records. Is "E.T." still relevant for the 21st century? If you're looking for the extraterrestrial that humanity is most likely to run into first, E.T. definitely doesn't fit the mold. But if you're looking for the cultural icon that's most likely to motivate the search for honest-to-goodness extraterrestrials, E.T. just might be your A-list alien. "If you look at the number of films that involve extraterrestrials these days, it's something like five or 10 a year," Seth Shostak, senior astronomer at the California-based SETI Institute, told me today. "And most of them are kinda nasty. What I liked about E.T. is that, after all, he was just a botanist who came to Earth and played with the kids. "He was a good tonic against the xenophobia we have about aliens. He's no more realistic than those other aliens, but his appeal encouraged folks to think that searches such as SETI were maybe not a bad thing." SETI — the search for extraterrestrial intelligence — is Shostak's specialty. In addition to conducting decades of research in the field, he's written books about aliens, advised moviemakers about them, and hosts a radio show that often touches upon the search for alien signals. If an unrealistically cute and cuddly alien gets more people interested in the quest, that's just fine by him. "Look, none of these movie aliens are realistic," he said. "Certainly all of the good guys are relatively anthropomorphic. You could analyze it in terms of the science ... but to me, all of the alien films stimulate the idea that there could be something out there. I can see that only as a good." In 1982, "E.T. 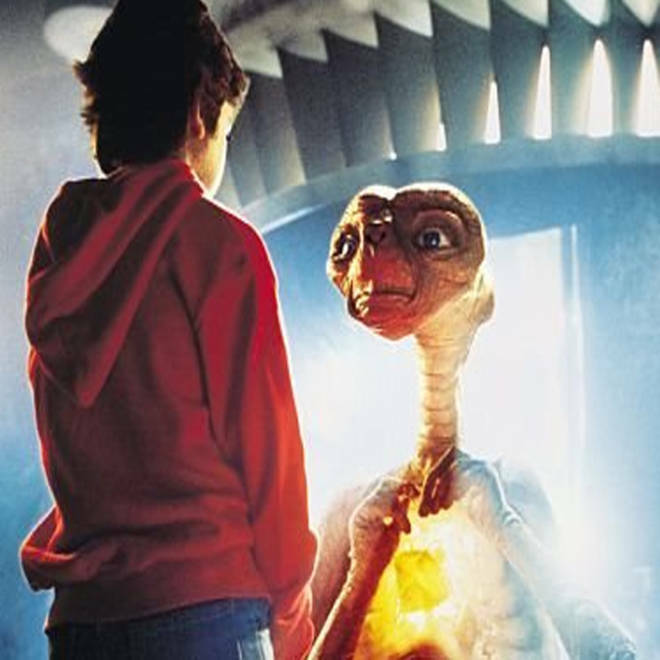 the Extra-Terrestrial" hit theaters and went on to become the fourth-most successful movie of all time. In honor of the film's 30th anniversary, one of the its stars, Henry Thomas, shares a few of his memories about it. So what would a realistic alien look like? Probably more like R2-D2 than E.T. : Intelligence that's encased in metallic hardware will travel much better than the kind of intelligence that's carried around in relatively fragile wetware. R2-D2 could be pretty cute at times, but it's more likely that the real-life robo-aliens would be indifferent to our fate. To some extent, Shostak agrees with physicist Stephen Hawking: Our relationship with alien visitors might be similar to the Native Americans' relationship to the Europeans in the 1500s. In short, not all sweetness and light. "If any were to come, at least extrapolating from the history of visitations here on Earth, most likely they would be nasty," Shostak said. "It wasn't the nice guys who got on the ship to visit the Aztecs." But then again, perhaps E.T. suggests a sunnier scenario. Why would the aliens visit? Probably not for resources, because any civilization capable of coming to Earth would already command prodigious reserves of power. Certainly not for mating. Even if E.T. was made of flesh and blood rather than metal, the genetic code (and reproductive system) would be different. Perhaps, like E.T., the aliens would come just to catalog the flora, the fauna, maybe even check out the rock and roll. "That might make sense," Shostak said. What do you think? Is anyone else out there, or are we alone? How have our perspectives on extraterrestrial life evolved over the past 30 years? Feel free to weigh in with your comments below. Correction for 10:20 a.m. Oct. 10: Shostak said there were five or 10 alien-themed movies per year, but I mistyped the quote to make it sound as if E.T. got far less screen time. Sorry about the miscue, which has been mended.